Al-Wazifatul Kareema Alwazifa-tul-Karima By Maulana Ahmad Raza Khan Barelvi Pdf Free Full Downloads Title name of the book is “Alwazifa-tul-Karima” Written by Maulana Ahmad Raza Khan Barelvi. 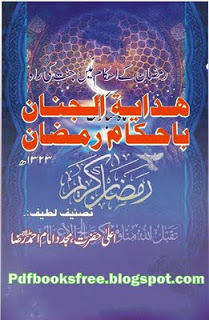 Islamic Wazaif book of Barelvi maslak along with Urdu translation. Click on the link given below to download this book as pdf file….